Bob Lum is respected as the first American custom knifemaker to introduce the Asian tanto-style blade to western knife circles. Bob's legacy as a knifemaker and his passion for Asian-influenced cutlery, combine exotic materials and clean flowing modern lines, melding these together with pointedly tactical and American features. The Spyderco C46GPGY Bob Lum Tanto is a Sprint Run, limited in number and availability. Its blade is VG-10 stainless steel, tanto-shaped and hollow-ground for amplified cutting capacity. 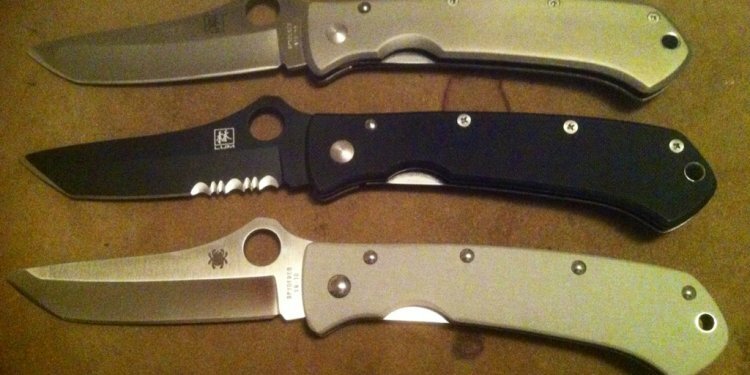 Positioned high on the blade, the Spyderco round opening hole presents a pronounced hump that is flattened on top to position the thumb for controlled cutting. Skeletonized internal liners run the full length of the light-gray G-10 handle scales providing strength and supporting a Michael Walker LinerLock®. Bob Lum's reputation as a knifemaker continues after his passing. His knives bring attention to detail and craftsmanship. Combining that talent with Spyderco's reputation for quality makes the Bob Lum Tanto an exceptional folder that is both tactical and practical.